No warm-blooded American is immune to the feverish rush that Oct. 31 brings, whether you are a kid or adult, the holiday brings the best out of our imaginations. So, it's no surprise that the pros are just like us. To celebrate the spookiest of holidays, we caught up with a few volleyball pros to find out what their favorite Halloween costumes were as children. 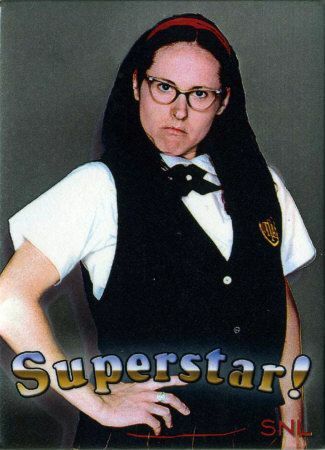 "My favorite had to be Mary Katherine Gallagher from Saturday Night Live when I was probably 8 or 9. We found a catholic school girl outfit at Goodwill and couldn't pass up the opportunity." "Not sure I repeated Halloween costumes, but my mother is creative and we came up with some great ideas! I actually do believe I repeated as a clown (above). They were always homemade costumes"
"An Iolani nerd. In Hawaii, Iolani School is known as a very academic school. As a Punahou student (rival school) we always made fun of Iolani as the nerd school. Because my brother went to Iolani I had access to a lot of Iolani clothes, so I would dress up as an Iolani School nerd." "I was Scarlett O'Hara (above) from 'Gone With the Wind'." "I am not a Halloween guy. As an adult, I don't like getting dressed up. (Hence, being a beach volleyball players and just wearing board shorts every day) And as a tall kid, if I wore a mask as part of my costume as a 12-year-old, I looked like some 6-foot tall grown man that was trying to get free candy. I will save my celebrating for Thanksgiving, a holiday dedicated to eating." "A clown. I loved putting on my rainbow curly hair wig, my mom's old baggy business suit pants, a random shirt and then painting my face. I also went in a human cast one year (above)." "I was a Power Ranger." "My brother and I always dressed alike for Halloween. One year, we were two ninjas, and another year he was the red Power Ranger and I was pink. But I think my favorite year was when I went as a genie. That year it was an unusually warm Halloween night so I didn't have to wear a jacket when I went trick-or-treating. I was so happy that I got to show off my genie costume for the whole neighborhood to see!" "I was in kindergarten and I wanted to be the Statue of Liberty (above). My mom made the whole costume for me and it turned out great!" "I tried to be Scary Spice one year for Halloween."